Like everyone else I pack holiday festivities and duties into every day approaching Christmas 2017. 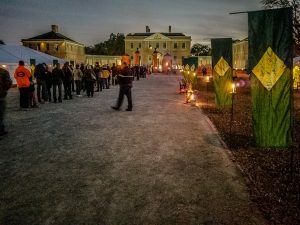 Last weekend I volunteered to assist with the Tryon Palace Candlelight celebration. A charming small town crowd braved the mid-50 degree chill. No snarled traffic, plenty of parking and no one rubbed shoulders unless all parties involved wished to participate in the rubbing. 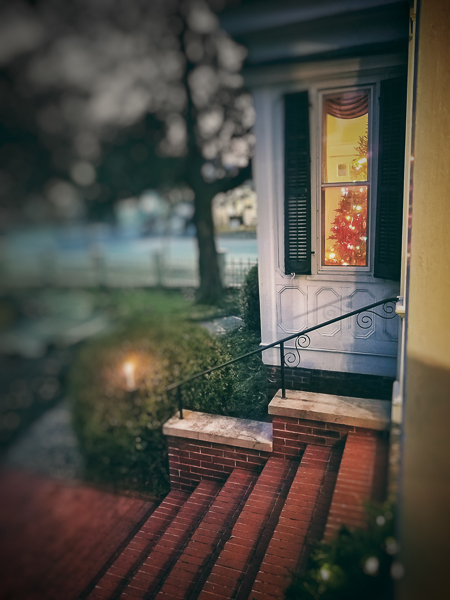 I served hot chocolate and Spiced Tea on this chilly night which kept me too busy to snap anything but phone photos. After my shift, I had time to set up near the palace to try my hand at capturing the firework finale over the Palace. I scored one photo from that session and included it in the slideshow below. I devote part of this week to selecting the photos from my 2017 collection to create Storm’s annual calendar/Christmas present. The winning photos in my personal contest are shown below in a slide show. If you follow this site religiously then you have seen them before. But I hope a glimpse of these might dredge up for you fond memories of a fun filled past year (at least they had that effect on me!). Awesome calendar pictures representing a great year! Next year will be just as awesome I’m sure! With friends like you and Matt to share the New Year with I am sure it will be awesome!! Neither situations nor people can be altered by the interference of an outsider. If they are to be altered, that alteration must come from within.